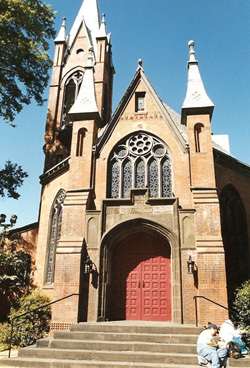 First Presbyterian Church, the birthplace of what we now know as "First Light." 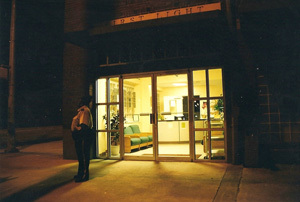 First Light began in the basement of First Presbyterian Church in 1983 as an emergency night shelter operated solely by volunteers. The basement shelter accommodated 15 women and children, but would sometimes provide safety to over 40 women and children. It was soon evident that more space and services were required for the homeless women and children in Birmingham. 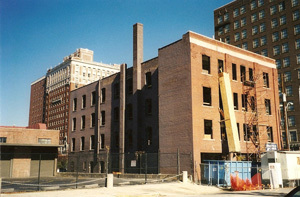 First Light was incorporated on March 13, 1998 and a capital campaign was begun to renovate the old Granada Hotel, which was located just two blocks away from the church and had recently burned. The old hotel was renovated to accommodate more women and children, to provide space for social services and day programs, and to have living space for permanent residents who were unlikely to live independently again. Since its inception, First Light has grown considerably due to the generous support of local faith communities, corporations, individuals, foundations and civic groups. First Light's current location - a welcoming and hospitable center for women and their children.